TeraThink's leaders care deeply about our employees, customers, and community. Our “open door” culture means that TeraThink truly has an unified team approach in everything we do. When combined with the decades of deep industry and technology experience of our leadership team, and guidance from our board of directors, TeraThink is building a strong future for our clients and ourselves. Dan Maguire is the CEO of TeraThink Corporation which merged with Dominion Consulting in November of 2017. As President and CEO, he oversees all aspects of the organization and provides complete leadership to the firm, furnishing overall company direction. Prior to completing the merger, Dan was a Managing Principal and Co-Founder of Dominion Consulting Inc., a professional services firm headquartered in the Washington D.C. area. Prior to Dominion Consulting, Dan was a Managing Principal and Owner of Washington Consulting, Inc., a management and information technology consulting that was acquired as a wholly owned subsidiary of Alion Science and Technology in March of 2006. Prior to that, Dan and his management team built Washington Consulting into a $30M+ consulting organization in less than three years, with marquee clients in both the commercial and public sector. Previous to Washington Consulting, Dan spent 8 years within large consulting organizations including Coopers & Lybrand, PricewaterhouseCoopers, and IBM. Dan graduated from the Pamplin School of Business at Virginia Tech in 1994 and earned an MBA from the Terry College of Business at the University of Georgia in 2002. Tim Spadafore is President and Chief Operating Officer of TeraThink Corporation. In this role, he brings over 23 years’ experience in the Federal Government marketplace. 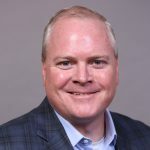 Tim is a Corporate Executive leading the enterprise IT modernization of Federal Customers transitioning from legacy products to emerging software platforms. He is responsible for leading key partnerships within the organization focused on lowering total cost of ownership across the customer base. He is also responsible for delivery of agile-based enterprise IT and financial management, and Enterprise Resource Planning (“ERP”) solutions. Tim leads the Delivery Organization’s efforts to drive company’s unparalleled agile development capabilities, as well as expertise in ERP software. He leads strategic partnership engagements across the organization with focus on emerging technologies. Tim is an accomplished Senior Executive in Business Operations, Company Growth, Engagement Management, M&A, Corporate Staffing, and Business Development. 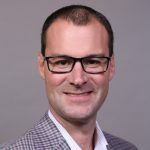 He is responsible for the day-to-day operations of a mid-tier large business and responsible for initiatives across the organization focused on delivery excellence, back-office support, and corporate value proposition. He has led measurable improvements averaging double-percentage revenue growth across the organization while focusing on emerging strategic markets and project delivery focused on exceptional client satisfaction. 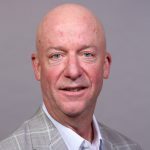 Prior to TeraThink, Tim was the Chief Operating Officer for Dominion Consulting, where he was responsible for all aspects of the company operations including business development. Tim joined Dominion Consulting through its merger with IBC. Prior to IBC, Tim was the Senior Vice President for Delta Solutions & Technology, and helped them grow to $38M when he left. He started his career with American Management Systems (now CGI Federal), where he was a Principal with the company. He earned a BS in Management from Rensselaer Polytechnic Institute. Steve Hamric is Chief Financial Officer at TeraThink Corporation. He brings over 25 years of experience in financial and administrative management for high-tech organizations serving federal and commercial markets. Steve specializes in mergers & acquisitions, private equity and venture capital financing, banking, and credit facilities for high growth companies. Most recently, Steve served as the Senior Vice President and CFO for iGov (2010-2018), a Systems Integrator and IT Services firm focused on the Federal Government. He oversaw the restructuring of the firm which led to the Private Equity backed leveraged buyout and created an ESOP in 2014. Previously, he served as the CFO for Athena Technologies (2001-2008), a manufacturer of navigation and controls technologies for the unmanned systems market. Steve led all activities to raise growth capital and position the company for the eventual acquisition by Rockwell Collins in 2008. He previously served as CFO and Controller for several venture backed technology companies, including Appfluent Technology and Entevo Corporation. In addition, he has held various accounting and financial management positions at organizations including DynCorp and Airborne Forwarding Corporation. Steve holds an MBA from the Virginia Tech Pamplin College of Business and a Bachelor of Science degree in Finance from Radford University. 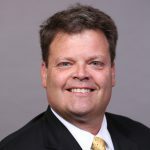 Rick E. Dansey is Chief Growth Officer at TeraThink Corporation. In this role, he brings his 28 years of leadership and business growth success to the TeraThink management team. His clients have spanned Defense and Federal Civilian agencies across multiple technology offerings. Most recently, Rick ran his own firm that focused on Merger and Acquisition (M&A) integration, new technology launch and strategic growth with clients that included start-ups, private equity and Fortune 200 firms. Previously, Rick was an Executive Vice President at CACI International. This organization was critical to CACI’s growth strategy as a $630 million annual revenue group with 3500 employees. He also played a key role in multiple CACI acquisitions. Before CACI, Rick launched a successful consulting practice in the competitive ERP space. These efforts culminated in the successful acquisition of DSIC by CACI in 2001. He earned an MBA from Northwestern’s Kellogg Graduate School of Management and a Bachelor of Science from the United States Naval Academy. He also has a Masters in Legislative Affairs from The George Washington University. John Munies serves as Senior Vice President for Civilian and Homeland Security Programs. He understands what is necessary to catapult TeraThink to the midsized business marketplace and advance the company’s alliances to expand capabilities and services that have broad market application. 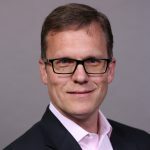 He brings more than 27 years of senior level technology and finance experience, including nearly 14 years at CACI International as a Senior Vice President and 13 years in various positions with Commonwealth of Boston, Massachusetts. His expertise incudes strategic planning, acquisition strategies, strategic alliances, enterprise transformation, and public sector finance. Prior to his work with TeraThink and CACI, John served in several Legislation and Executive Branch positions in the State of Massachusetts’ including CFO at the Department of Revenue, COO at the Registry of Motor Vehicles, Deputy CIO at the University of Massachusetts Medical School, Deputy Assistant Comptroller in the office the State Comptroller, and Deputy Director of Fiscal Policy at the Senate Ways and Means Committee leading several enterprise IT transformation projects. John holds a Bachelor’s degree in Accounting from Bridgewater State University and Certificates in Executive Leadership from Georgetown University and the Massachusetts Institute of Technology – Sloan School of Business. He is also a member of several IT and finance associations; serves on the Associates Board of the Wolf Trap Foundation; Board of Advisors, Office of Military Services, George Mason University; chairman of the Piedmont Golf Club’s Board of Governors; and is the founder and chairman of the Piedmont Charitable Foundation. 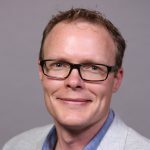 Jedediah is the CIO of TeraThink, bringing over 15 years of experience within IT strategy and federal consulting services. Jedediah's role embraces his enthusiasm for technology and passion for process improvement. Ultimately, his focus is ensuring TeraThink's technology investments are strategically aligned with corporate objectives. Jedediah works closely with the management team to streamline IT operations, while enhancing TeraThink's ability to provide project teams a variety of resources required for successful client delivery. Prior to his role as CIO at TeraThink (and Dominion Consulting), Jedediah worked along side clients to help solve their technology and information management problems. Jedediah earned a MS in Management Information Technology from the University of Virginia and a Bachelor of Business Administration in IT and Operations from the College of William and Mary. 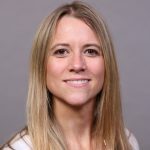 Courtney is a Vice President and delivery executive at TeraThink, currently focused on leading TeraThink’s Strategic Initiatives that fuel company growth, streamline our business effectiveness, and create the best workplace for our people. 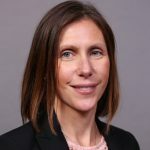 Courtney brings over 16 years of consulting experience, during which time she has focused on delivering innovative, transformative IT solutions to solve her client’s most challenging problems. As a seasoned agile leader, Courtney has a focus on continuous improvement across all aspects of her projects as well as our business. In her team, program and coaching leadership roles, she has enabled her client and her teams to achieve results at their highest levels through leveraging lean agile delivery approaches. Courtney now uses these lean agile principles to guide TeraThink’s strategic initiatives, including the company’s recent merger. Courtney was among the first employees of Dominion in 2010, and helped grow its agile delivery capabilities in the Federal market. Prior to that, Courtney was a senior manager at Accenture, delivering projects across the Public Sector and Telecommunications industry. Courtney earned a BS in Finance and Marketing from Villanova University. Blair is the VP of People and Culture at TeraThink. She has over 12 years of experience in federal consulting and brings a relentless dedication to TeraThink remaining one of the widely recognized best places to work in the area. Blair was with Dominion Consulting when it was established in 2010 and played an important role in the company's expansion and success in the lead up to its merger with TeraThink in 2017. Since that time she has since helped drive TeraThink’s organizational philosophy that emphasizes putting its employees first. Blair enthusiastically engages TeraThink's workforce, proactively focusing on their professional growth and development. Prior to her role as VP at TeraThink, Blair worked in operations, people and culture at Washington Consulting, now Alion Science and Technology. As part of her lifelong commitment to education and mentoring, she previously taught Communication courses at George Mason University and Germanna Community College. Blair earned a Bachelor’s Degree in Communication from University of Maryland and a Master’s Degree in Education & Communication from George Mason University. She credits a host of mentors throughout her career with never allowing her to lose sight of what drives and sustains an organization's success – its employees.